Attempting to understand the mindset of the typical voter is a fool’s game. The last election bequeathed upon us a huge amount of commentary attempting to explain why it was that the Tories had such success – not least from the Tory high command itself, hastily moving to pretend that a majority government had always been on the cards. The Labour leadership campaign, meanwhile, has seen much of the same discussion, with the Blairite remnant arguing for soft Toryism on the basis of nothing much at all, and the Corbynite insurgency cherishing the fond myth that if only some more non-voters would vote, a reheated and insubstantial version of soggy socialism will take the country by storm. I don’t pretend to know the “average voter”. I do know my fair share of people who, when it comes to elections, um and ah over which party merits an X by its name. For such people, elections are not about neatly packaged sets of policies, or coherent ideologies. They are instead typically about the feeling that each party gives them, along with perhaps one or two ideas that have burst through the media ether and captured their hearts. The central question of British politics right now is not who leads Labour (or even the Liberal Democrats). The question is how far the Conservatives can push their ideological agenda along before voters start to object to it. At the moment they are making excellent progress on this; George Osborne’s summer budget was the supreme example of a viciously regressive set of policies made palatable by sugary, centrist presentation. 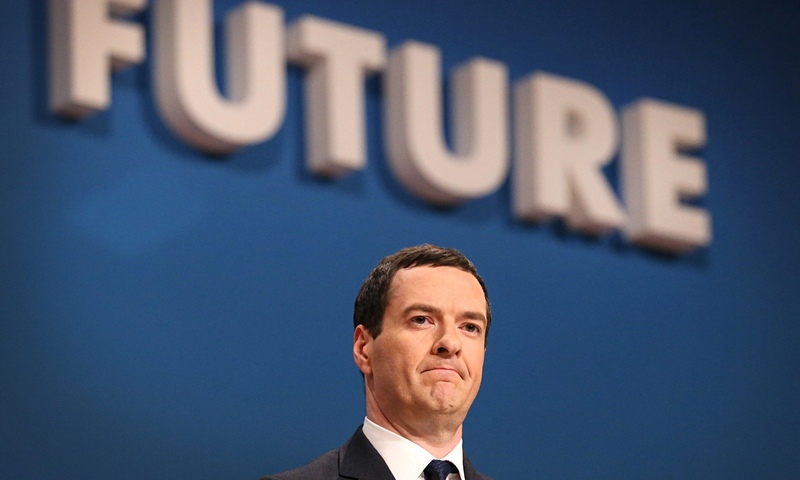 The spending review that looms in November will be another step down this road. But as others have written, there will have to come a point during this Parliament where the impact of spending restraint on public services begins to bite in places where it has yet to do so. As the Financial Times’ recent superlative in-depth exploration of austerity Britain pointed out, the cuts to date have fallen on services catering to marginalised social groups which are almost invisible in political terms, having no natural media presence or support behind them. But this can’t continue. If the Conservatives continue to cut public spending “until the pips squeak”, sooner or later the “typical voter” will start to see, or rather feel, it. It’s my hunch that adult social care might well be the tipping point. This is an area that doesn’t just affect a small group of marginalised people but an increasing number of relatively well-off and middle class voters. Crucially, it’s not just the service users that are affected by the strain on the system, but their children and sometimes their grandchildren too may well be of voting age. The story in the Observer this weekend, in which the Chief Inspector of Adult Social Care warned over the bad care being created through systemic pressure, could be the starting point. But in order for this to change voters’ minds in the longer term, the effects of such bad care will need to be seen far and wide. It’s not until such stories start appearing in the Daily Mail or the Daily Express that they are really taking root. The Conservatives have nurtured a reputation for competence which is actually a mask for an ideology that simply doesn’t want well-funded public services. Unfortunately, they are so good at wearing that mask that the underlying ideology can’t be challenged on its own terms. So instead the task must be to challenge and destroy that reputation for competence. When that has been done, then, and only then, will voters seek a true alternative. The lesson for Labour and the Lib Dems? Make arguments personal. Go and find people whose lives are being ruined by this government. Make sure they are people with whom the “typical voter” can easily identify, and tell their stories. Don’t talk in abstract technocratic terms about “integration” and “personalisation”. It’s the sort of thing the Tories do. It’s part of how they win. They are past masters at manipulation and fabricated fear. The only way to beat them is to play them at their own game. If you can make people feel the true impact of a regressive government, you can earn the right to offer them something else. But you have to earn it.